This book, which follows the daily lives of nuns in a monastery for a decade, is one of the best novels I've ever read. I was fascinated from beginning to end by the hierarchy amongst the nuns, the lives left behind by the sisters when they each entered the novitiate, the anguish over whether or not certain sisters truly have vocations, the handling of deaths of the old and infirm, the relationship between the nuns and the outside world, the process for electing an Abbess, and the problems caused for every nun when just one makes a misstep. I also loved feeling the rhythm of the liturgical year running through the narrative, and reading about the preparations the choir nuns must make to be able to sing all the appropriate music for each season and feast day. Though this book is nearly 600 pages long, I was sorry to see it end, and would have gladly kept reading about anything and everything these characters might ever do for many more pages. I intended to make this book last from Ash Wednesday until Holy Week, but I found I just couldn't keep putting it down and I finished it in exactly three weeks. I am really glad I bought a copy for Kindle, because I know there are sections of the book I'll want to re-read in the near future, and that I'll want to revisit the book as a whole again during some future Lent. 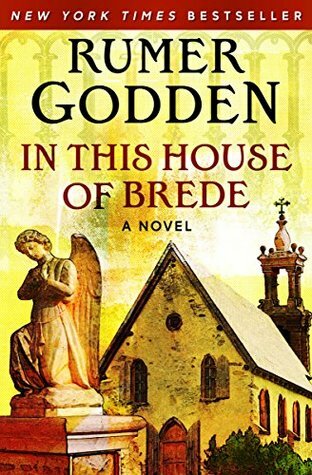 Sign into Goodreads to see if any of your friends have read In This House of Brede. 31.0% "I am loving this book more and more each day!"